Friend, don’ t give up! The finish may be only strokes away. God may at this moment be lifting His hand to signal Gabriel to grab the trumpet. The shore may be closer than you think. Stay at it. Stay in the race. And don’t give up! Spending quiet time with God can bring quiet rest from God. Lebanon’s cedars are emblematic of the Christian, in that they owe their planting entirely to the Lord. This is quite true of every child of God. He is not man-planted, nor self-planted, but God-planted. The mysterious hand of the divine Spirit dropped the living seed into a heart that He had Himself prepared for its reception. Every true heir of heaven knows that it is God who planted him. Moreover, the cedars of Lebanon do not depend upon man for their watering; they stand on the lofty rock, unmoistened by human irrigation; and yet our heavenly Father supplies them. 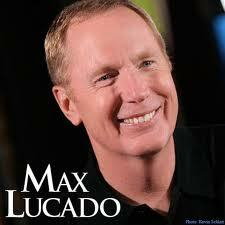 So it is with the Christian who has learned to live by faith. He is independent of man, even in temporal things; for his continued maintenance he looks to the Lord his God, and to Him alone. The dew of heaven is his portion, and the God of heaven is his fountain. Again, the cedars of Lebanon are not protected by any mortal power. They owe nothing to man for their preservation from stormy wind and tempest. They are God’s trees, kept and preserved by Him, and by Him alone. It is precisely the same with the Christian. He is not a hothouse plant, sheltered from temptation; he stands in the most exposed position; he has no shelter, no protection, except this, that the broad wings of the eternal God always cover the cedars that He Himself has planted. Like cedars, believers are full of sap, having enough vitality to stay green, even amid the winter’s snows. Lastly, the flourishing and majestic condition of the cedar is to the praise of God only. The Lord, even the Lord alone, has been everything to the cedars, and therefore David very sweetly puts it in one of the psalms, “Praise the Lord! Fruit trees and all cedars.”1 In the believer there is nothing that can magnify man; he is planted, nourished, and protected by the Lord’s own hand, and therefore to Him let all the glory be ascribed. Many years ago, my father and I hiked through Big Bend in Texas. It’s a national park now, but in those days it was rough country. One night we were rolling out our sleeping bags when a couple with a dog asked if they could camp nearby. We welcomed their company and turned in for the night. They tethered their dog to a stake beside their tent. Some hours later my father nudged me awake and turned his flashlight into the darkness. Illuminated by the light, we saw pairs of yellow eyes peering out of the shadows. A pack of snapping and snarling coyotes were closing in on the dog. Although we chased them off and our neighbors put the dog in their tent, we slept fitfully. and Your work in me. I want to rest in You and Your love. Knowing that God loves us can dispel doubt. Are you watching a world out of control and don’t know what to do? Stand back and let the Father guide you! I remember a time when I was about nine years old. My father and I were battling a storm in a fishing boat, honestly wondering if we’d make it back to shore. The boat was small, the waves were high, the sky rumbled, the lightening zigzagged. . . As dad tried for shore, wave after wave picked us up and slapped us down. I looked for the coast, for the sun, even for other boats. I saw only waves—everything was frightening. There was only one reassuring sight, the face of my father. Right then I made a decision. I quit looking at the storm and looked only at my father. God wants us to do the same. What good does it do to focus on the storm anyway? Focus your eyes on Him. A couple of times in the past few years I’ve experienced dehydration and, believe me, it is not something I want to repeat. It happened once after I suffered a torn hamstring while cross-country skiing, and another time in the 115-degree heat of an Israeli desert. Both times I experienced dizziness, disorientation, loss of clear vision, and a host of other symptoms. I learned the hard way that water is vital to maintaining my well-being. My experience with dehydration gives me a new appreciation for Jesus’ invitation: “If anyone thirsts, let him come to Me and drink” (John 7:37). His announcement was dramatic, particularly in terms of the timing. John notes that it was the last day of the “great feast”—the annual festival commemorating the wandering of the Jews in the wilderness—which climaxed with a ceremonial pouring of water down the temple steps to recall God’s provision of water for the thirsty wanderers. At that point, Jesus rose and proclaimed that He is the water we all desperately need. indeed the living water that I so desperately need. Come to Jesus for the refreshing power of His living water. This flying insect, while supplying us with visual enjoyment, also supplies us with amazing examples of the marvels of God’s creative work. For instance, the majestic monarch butterfly can travel 3,000 miles on its migration to Central America—only to end up at the same tree its parents or even grandparents landed on a generation or two earlier. It does this guided by a brain the size of a pinhead. of Your love for us. Thank You, Lord, for creation. Creation’s design points to the Master Designer. The streams of living water that flow from Jerusalem are not dried up by the parching heats of sultry midsummer any more than they are frozen by the cold winds of blustering winter. Rejoice, O my soul, that you are spared to testify of the faithfulness of the Lord. The seasons change, and you change, but your Lord abides evermore the same, and the streams of His love are as deep, as broad, and as full as ever. The heats of business cares and scorching trials make me need the cooling influences of the river of His grace; I may go at once and drink to the full from the inexhaustible fountain, for in summer and in winter it pours forth its flood. The upper springs are never scanty, and blessed be the name of the Lord, the lower springs cannot fail either. Elijah found Cherith dried up, but Jehovah was still the same God of providence. Job said his brethren were like deceitful brooks, but he found his God an overflowing river of consolation. The Nile is the great confidence of Egypt, but its floods are variable; our Lord is evermore the same. By turning the course of the Euphrates, Cyrus took the city of Babylon; but no power, human or infernal, can divert the current of divine grace. Most regions of the world are familiar with the amazing phenomenon of snow. Snowflakes are beautiful, uniquely crafted ice crystals. Individual snowflakes are fragile, and they quickly melt if they land on your hand. Yet, en masse they create a force to be reckoned with. They can shut down major cities while creating beautiful landscapes of snow-laden trees whose pictures decorate calendars and become the subject of artwork. They provide pleasure on the ski slopes and joy for children as they make snowmen and ammunition for snowball fights. All because they stick together. So it is with those of us who follow Christ. Each of us has been uniquely gifted with the capacity to make a contribution to the work of Christ. We were never intended to live in isolation but to work together to become a great force for God and the advance of His cause. As Paul reminds us, the body of Christ “is not one member but many” (1 Cor. 12:14). All of us are to use our gifts to serve one another so that together we can make a significant difference in our world. for Your name’s sake and the advance of Your kingdom. Now, the Christian life is of the same order. When we first believe in Christ, we see only a little of Him. The higher we climb, the more we discover of His beauty. But who has ever gained the summit? Who has known all the heights and depths of the love of Christ that passes knowledge? When Paul had grown old and was sitting gray-haired and shivering in a dungeon in Rome, he was able to say with greater emphasis than we can, “I know whom I have believed,”1 for each experience had been like the climbing of a hill, each trial had been like ascending another summit, and his death seemed like gaining the top of the mountain, from which he could see the whole panorama of the faithfulness and love of Him to whom he had committed his soul. Get up, dear friend, into a high mountain. Millions of Americans have trouble sleeping! You may be one of them. Only one other living creature has as much trouble resting as we do. They are woolly, simpleminded, and slow…sheep. Sheep can’t sleep! For sheep to sleep, everything must be just right. No predators. No tension in the flock. Sheep need help. They need a shepherd to “lead them” and help them “lie down in green pastures.” Without a shepherd, they can’t rest. 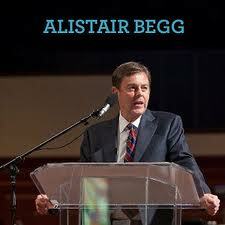 Alistair Begg – Who’s Going Thirsty? The invitation is to “take . . . without price.” Jesus wants no payment or preparation. He seeks no recommendation from our virtuous emotions. If you have no good feelings, but if you are willing, you are invited; therefore come! If you have no belief and no repentance, come to Him, and He will give them to you. Come just as you are, and take without money and without price. He gives Himself to the needy. In nineteenth-century Britain the drinking fountains at the corners of the streets were valuable institutions; it would have been a strange and foolish sight to see someone standing at the fountain declaring, “I cannot drink because I do not have any money.” However poor an individual may be, there is the fountain, and just as he is, he may drink of it without cost. Thirsty passengers, as they go by, whether they are dressed poorly or expensively, do not look for any authorization to drink; the existence of the fountain is sufficient warrant for taking its water freely. The generosity of some good friends has put in place the refreshing supply, and we take it and ask no questions. Perhaps the only people who go thirsty through the street where there is a drinking fountain are the fine ladies and gentlemen who are in their carriages. They are very thirsty but cannot think of being so vulgar as to get out to drink. It would demean them, they think, to drink at a common drinking fountain: so they ride by with parched lips. In the spring, shepherds in Idaho move their flocks from the lowlands into the mountains. Thousands of sheep move up the passes into the high country to summer pasture. My wife and I came across a flock on Shaw Mountain last week. It was bedded down in a meadow by a quiet stream—a picturesque scene that evoked memories of Psalm 23. But where was the shepherd? The sheep appeared to be alone—until a few broke away from the flock and began to wander toward a distant gully. Then we heard a shrill whistle from above. Looking up, we saw the shepherd sitting high on a hill above the sheep, keeping watch over his flock. A mountain dog and two Border collies stood at his side. The dogs, responding to the shepherd’s signal, bounded down the hill and herded the drifting sheep back to the flock where they belonged. In the same way, the Good Shepherd is watching over you. Even though you cannot see Him, He can see you! He knows you by name and knows all about you. You are the sheep of His pasture (Ezek. 34:31). God promises that He will “seek out” His sheep, “feed them in good pasture,” and “bind up the broken” (vv.12,14,16). My heavenly Father watches over me. —William Martin. © Renewal 1938. The Rodeheaver Company. The Lamb who died to save us is the Shepherd who lives to care for us. Everyone is like a pot that carries life. But not everyone carries a presence that blesses others. Religion tries to force people to follow laws to make them perfect, like pots without cracks. But if a light is put within a flawless pot and then covered, no one is able to see the light inside the pot. Perfect pots are not able to reveal internal light to illumine the way for others. God chooses to shine through imperfect, cracked pots. People are blessed when our cracked pots let the light of Jesus shine through. Choose to be a glory-filled, cracked pot rather than an empty, pretty vessel. Pretend you’ve come to visit me. I’m working in my greenhouse. (Neither my house nor my thumb is green, but let’s pretend.) It’s the perfect spot for flowers and fruit. You’ve always thought I was a bit crazy, but what I do next removes all doubt. I strip seeds off weeds—crab grass, grass burrs. You can’t believe what you’ve just seen. “I thought you wanted a greenhouse full of flowers and fruit!” you say. Think for a moment of your heart as a greenhouse. Consider your thoughts as seed. Some become flowers. Others weeds. Sow seeds of hope and enjoy optimism. Sow seeds of doubt and expect insecurity. The path of the Christian is not always bright with sunshine; he has his seasons of darkness and of storm. It is true that God’s Word says, “Her ways are ways of pleasantness, and all her paths are peace”; and it is a great truth that faith is calculated to give a man happiness below as well as bliss above. But life confirms that if the experience of the righteous is “like the light of dawn, which shines brighter and brighter until full day,” sometimes that light is eclipsed. At certain periods clouds cover the believer’s sun, and he walks in darkness and sees no light. There are many who have rejoiced in the presence of God for a season; they have basked in the sunshine in the early stages of their Christian life; they have walked along the “green pastures” by the side of the “still waters.” But suddenly they find that the glorious sky is clouded; instead of the promised land they have to endure the wilderness; in place of sweet waters, they find troubled streams, bitter to their taste, and they say, “Surely, if I were a child of God, this would not happen.” Do not say that if you are walking in darkness. The best of God’s saints must drink the bitter potion; the dearest of His children must bear the cross. 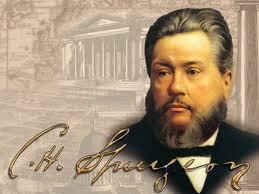 No Christian has enjoyed perpetual prosperity; no believer can always keep his heart in constant tune. Perhaps the Lord gave you in the beginning a smooth and unclouded path because you were weak and timid. He moderated the wind on account of your weakness, but now that you are stronger in the spiritual life, you must enter upon the riper and rougher experience of God’s full-grown children. We need winds and tempests to exercise our faith, to tear off the rotten branches of self-reliance, and to root us more firmly in Christ. The day of evil reveals to us the value of our glorious hope.